Become a Kaleidoscope Gala Sponsor! The Gala is on Saturday, May 4 - Derby Day! Join these sponsors in the Triple Crown, Preakness, Belmont Stakes, or Test of Champions categories! Ratner's Mission: We empower students to find joy in learning and to become their best selves. 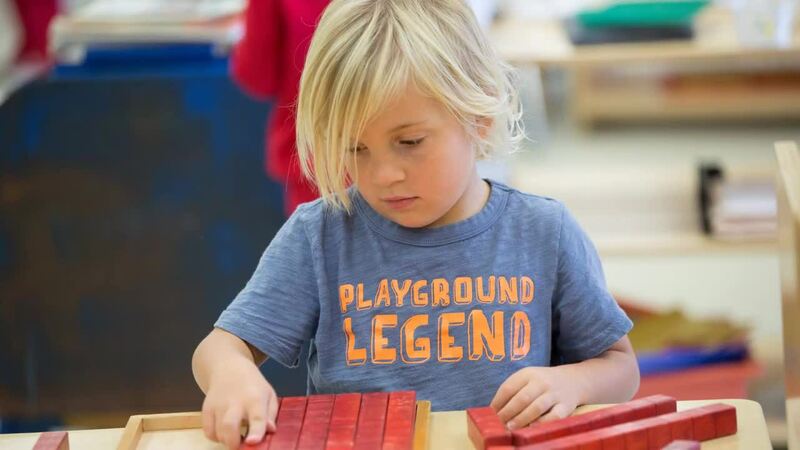 Learn more about Ratner's Toddler and Children's House Programs at a Montessori Morning Event. Ratner's Core Values: We are a welcoming, caring, global community. Ratner's Core Values: We embrace diversity. Ratner's Core Values: We meet the needs of each individual learner. Ratner's Core Values: We teach universal values rooted in the Jewish faith. Ratner's Core Values: We create a challenging and relevant academic environment. The Ratner Montessori School, founded in 1963, is an independent private school in Pepper Pike, Ohio, serving toddlers through 8th grade. Visit Ratner Montessori and discover how we empower a diverse community of students to find joy in learning and to become their best selves.